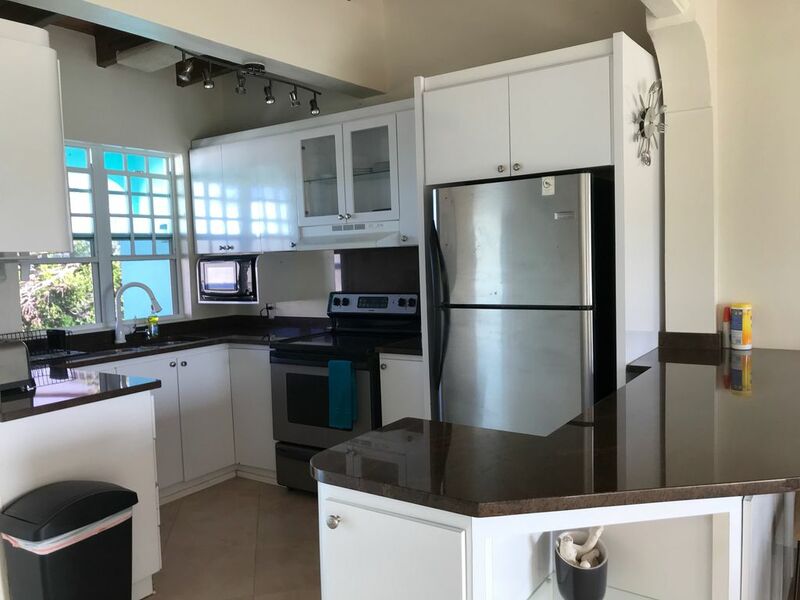 Located at Scott Beach by Compass Point two minutes walk to the beach. 2 bedrooms 1 bathroom, sleep 4, Air condition, Electric Range, Microwave, Granite Counter Tops, Refrigerator, Washer/Dryer, Dish Washer, Dish Network TV' Wifi. Has a large back-up generator (House is fully powered 24/7). Off-street parking, fully furnished. Very quiet, safe and friendly neighbor hood. You will have access to the entire unit. You can do your laundry, watch your favorite TV show or sports on a 60" flat screen HDTV. You can cook your own meals, eat out or sit back after a long beach day and do some grilling. The property is located on a private street away from the main highway so there is no traffic noise, every safe and friendly neighborhood, there are 4 houses on my street and I owned two of them, I live in the on across the street so I am always available if my guest need me. It is close to the water only 2 minutes walk to the beach. You can get a taxi to anywhere you need to go on the island but it will be very pricey, I highly recommend renting a car so you can go wherever you want and when you want. We have a family owned rental car business and we offer our guest up to 15% discount on rental cars. Guest can also take our cars to St John on the car barge from Red Hook to visit and explore the beaches and parks in St John.